I recently judged communication campaigns and tactics, and was struck by the lack of planning involved in nearly every entry. Particularly absent was the lack of specific communications objectives. 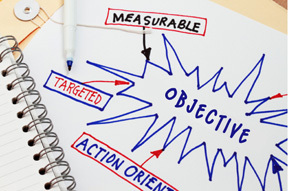 If you’re in public relations, marketing or corporate communications, you need to know how to craft a solid strategic communication objective because that is the single most important focal point of any communications campaign. If you don’t know what you're aiming for, you’ll never know if you reached it.